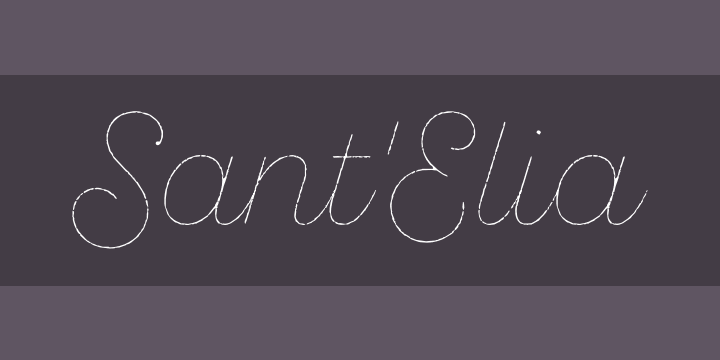 Sant’Elia Script from Yellow Design Studio is a robust modern type family with regular and rough versions in six weights. Its forms are crisp and welcoming with a splash of verve. Alternate versions feature angled strokes that inject extra energy. Rough weights include three different distress levels that can be mixed for added control and customization. Try Sant’Elia Rough Line, Line Two and Line Three for free! - In Photoshop switching the anti-alias setting to “smooth” may yield the best results. - Sant’Elia Rough is highly detailed and may process slowly on some systems.